The shelves are stocked, the counter’s been wiped, and you’re ready to start serving customers. What’s next? Well, you’ll need to get a PDQ machine set up to start taking card payments. But what PDQ machine is best for your business? That can be a Pretty Difficult Question, especially when it comes to comparing costs, and deciding whether to buy or rent. Comparing PDQ machine costs can be like navigating a minefield. You have to be aware of hidden fees and restrictive contracts, while making sure the package or device is right for your business. How do you do this? And how much does it really cost to have a credit card machine? Let’s find out. 06 | What are the types of PDQ machines? In the UK, renting a PDQ machine is much more common than buying one. And if we’re honest, it’s much more straightforward, too. When you sign up with a merchant account provider, the company will provide your PDQ machine for you, equipped with everything you need to start taking payments. You’ll sign a contract with the provider, and will have the option to rent a card machine for around £15 to £25 per month. Another reason PDQ machine rental works is that it’s pretty much impossible to buy countertop or wireless PDQ machines outright. Even if you manage to get your hands on one, you’ll still need to set up a merchant account to take payments. However, if you’re set on owning your PDQ machine outright, a mobile card reader should be your first port of call. 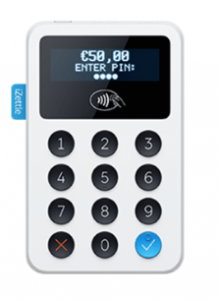 Companies like iZettle and SumUp Air offer these card readers at cut-price rates, usually charging between £20 and £50 per device. ✔ The main advantage to buying a PDQ machine is that it only requires a one off payment, meaning you’re avoiding yet another monthly outgoing for your business. However, it’s not all rainbows and butterflies; you’ll still need to pay transaction fees to your payment service provider. X You’ll also need to remember when buying your card machine outright that once the warranty is up, maintenance and repair costs become an expense. You might also end up stuck with a device that’s out of date as technology improves apace. ✔ Need a PDQ, but don’t have the cash right now? Renting is your best bet. With credit card machine rental comes repair, ongoing support, and potentially the ability to upgrade your machine with time. X Signing a rental contract, however, ties you down – potentially for years. And with less flexible suppliers, this can quickly become a problem. Also, the longer you keep the equipment, the more expensive it will be when compared to buying it outright. Whether you’re buying or hiring your PDQ machine, you’ll have to be prepared to dip into your pocket somewhere along the line. Let’s have a look at how the costs break down. The first cost you’ll need to consider when buying your terminal is the initial upfront payment for the machine itself. The cheapest PDQ machines are typically mobile card readers. 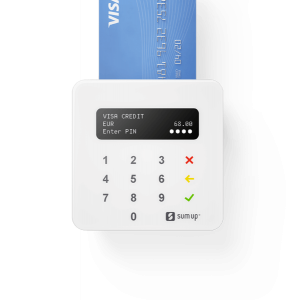 They come in at around £30 to £50 to buy outright, depending on the provider; however at discounted rates, you can pick up mobile card readers like SumUp Air for as little as £19. If you’re looking at a more traditional countertop or wireless PDQ for your retail business, you’re better off renting or leasing a card machine. Your merchant account provider will sort out the details when you sign a contract with them. When you rent a PDQ, there aren’t too many upfront costs, but you might have to pay a fee to get the machine set up or installed. And with most providers, you’ll have to pay a monthly fee. Monthly fees are pretty common when using PDQ machines. Thankfully though, merchant account monthly fees are usually also pretty small. 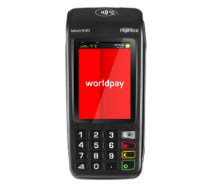 Some suppliers – particularly those that offer mobile card readers – forego monthly fees altogether. Make sure to read the small print, though; these companies still take a usage (or transaction) fee for their services. The most typical monthly cost consideration is not so much a fee as a minimum usage limit. This is to ensure the provider can profit from usage fees – essentially, to make it worth their while. This fee is called a Minimum Monthly Service Charge (MMSC). The MMSC is generally set at around £20 per month. It’s not much, but if you’re only dealing with a very small amount of transactions, then a PDQ option with a monthly minimum might not be the best option for your small business. If you’re not such a big fan of paying every month to take payments, there’s plenty of mobile card readers below that don’t have them. However, you’ll pay a percentage of every transaction you take. We know that to process payments on any PDQ machine, you’ll need to set up a merchant account. This is your agreement with a credit card payment processor, and it’s the main thing you need to accept payments in-store, as well as online or over the phone. Transaction fees are set by your chosen provider. Generally, they depend on the amount of payments you’ll be taking. Transaction fees are calculated either as a percentage of the transaction price (around 1-3%) or as a set fee of 10p to 20p. Sometimes, it’s a combination of both – a small percentage, plus a few pence per transaction. It differs not only from provider to provider, but based on the pricing package you choose. Paypal Here operates a sliding scale structure for transaction fees, charging a percentage that goes down as as your sales volume goes up. This makes it ideal if your business is taking more payments, or deals in higher value transactions. Other companies only charge a usage fee after a certain threshold of transactions has been reached. Handepay, for instance, charges 10p per transaction, but only after you’ve taken 400 of them. This works out cheaper for smaller businesses which accept fewer transactions every month. Your PDQ transaction costs will also relate to the level of risk attached to your industry. Fees for high risk industries are notably higher, often because there’s a greater chance of chargebacks. What does this mean? Basically, you’ll have more trouble getting a merchant account for a travel business than for a corner shop. Setup fees are another thing to consider, with some providers charging as much as £200 to get you started. However, in principle, these fees should be much lower – and some companies might not charge at all. The more pressing concern when signing a contract relates to its length and flexibility. If your business is likely to grow in the coming years, it makes little sense committing to a long-term contract that restricts you. Thankfully, many providers recognise that it pays for them to present a service that grows with your business’ needs. What are the types of PDQ machines? There are three types of PDQ machines: countertop, wireless (or portable), and mobile. Read on for our top picks, or dive into the table below to compare PDQ machine costs and get quotes from top suppliers. A countertop PDQ machine (A.K.A. a static PDQ terminal) connects to the card payment network via an an ethernet cable or phone line. They’re most popular in the retail sector, where the point of sale is usually at the till. You won’t find these PDQ machines available to buy new – instead, you’ll need to rent them from your chosen merchant account provider. The good news, though, is that countertop PDQs are the cheapest to hire; rental costs start from as little as £15 a month. Wireless PDQ machines connect via Bluetooth or wifi. 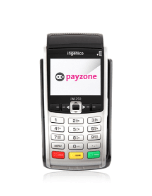 They give you the flexibility to move about and take card payments within a fixed range (usually around 100m). They’re perfect in a restaurant or bar setting, where the point of sale is at the customer’s table. Monthly rental prices are typically £20 to £25. With a mobile PDQ machine, you can take card payments basically anywhere with a signal. They work with either a dedicated SIM card, or through connecting to your smartphone or tablet. Mobile PDQ machines are a firm favourite of small business owners because of the flexibility they offer – and for the relatively low up-front cost of buying them. They let you take card payments in remote areas, without relying on wifi or a power outlet. 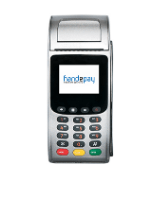 Unlike the other types of PDQ machines, you don’t need to rent mobile devices. 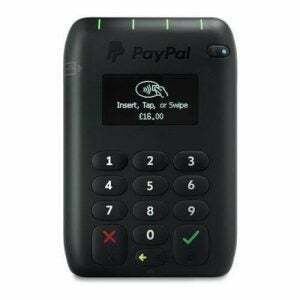 You can buy models such as the iZettle card reader outright for as little as £29. Finding the best PDQ terminal for your business can be a tricky. With so many providers out there, how do you go about choosing between them? What cards do my customers use? All PDQ machines accept payment by credit cards and debit cards. But some cards, such as American Express, can only be processed with select PDQ terminal providers. Know your customers – and their cards – to avoid embarrassment at the till. Where is my point of sale? If it’s in a muddy field at a music festival, you’re going to need a mobile PDQ machine. If it’s in-store, a countertop PDQ will often be the most cost-effective choice. What’s my budget? If you can afford the cost of a larger upfront sum, in the long run, it pays to buy your PDQ machine outright. If you’re trying to keep costs to a minimum, then renting is a better option. If you’re ready to talk to suppliers, you can do a PDQ machine price comparison by simply clicking on one of the icons below and filling out our webform. We’ll contact leading suppliers on your behalf to get you free quotes tailored to your specific business needs. How do I get a PDQ machine for my business? What is the cheapest PDQ machine? Can a PDQ take payments when the cardholder is not present? PDQ stands for “Process Data Quickly”, which is a pretty good description of what the machines do. You may also have heard them referred to as credit card machines, chip and pin machines, or credit card terminals. Don’t be confused – they all mean basically the same thing. Way back in time (think pre-Facebook! ), people had to actually swipe the magnetic strip on their card through a PDQ machine. And if that wasn’t enough, they’d then need to sign their signature on the receipt every time they wanted to buy something. Can you imagine? Thankfully, those days are over. The introduction of chip and pin means that your business can now securely process credit card and debit card transactions in a matter of seconds. A revolution for the payments industry – and a lifeline for small business owners. So what happens in those seconds? Well, after the customer enters their unique four digit PIN, their card details are sent to a merchant bank. The merchant bank contacts the cardholder’s bank via the card association to check available funds. The card holder’s bank — known as the issuing bank — fires back a response, which is displayed on the screen of the PDQ machine: either “Approved” or “Payment Not Authorised”. Before you can use your PDQ machine, you’ll need to open a merchant account. A merchant account is where the money goes before it’s paid into your business bank account, and without one, you won’t be able to process card payments. Conveniently, most merchant account providers offer PDQ machines to rent or buy as part of a complete merchant services package. For an extra charge, you can also choose to add a payment gateway for processing payments online. Rates vary depending on the volume of card transactions you’re processing. So in most cases, the best PDQ machine for your small business will be the one that comes with a dedicated small business merchant account. The cheapest PDQ machine depends on what you and your business need. It’ll also depend on the volume and value of your transactions, and (of course!) the merchant account provider that you choose. If we’re splitting hairs though, the SumUp Air card reader is technically the cheapest mobile PDQ machine (currently retailing at £19). But depending on your business’ unique needs, you might be better suited to renting one or more countertop or mobile solutions. Both are low-cost card machines ideal for small businesses. PDQ machines can still be used even when the cardholder is not physically present. Simply enter their card details manually to take card payments over the phone. Is there anything a PDQ machine can’t do? We’re not sure. 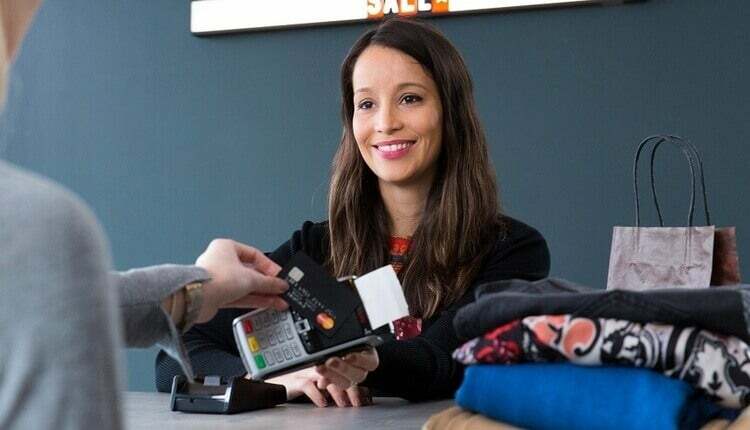 If you’d like to start comparing PDQ machines from top suppliers, why not check out our page dedicated to the best credit card machines for small businesses? Or to get tailored quotes for your business, take a minute to fill out our quick form.